Nice capture - great grouping of the two snakes. Nice image. I like both heads in focus. Great capture! 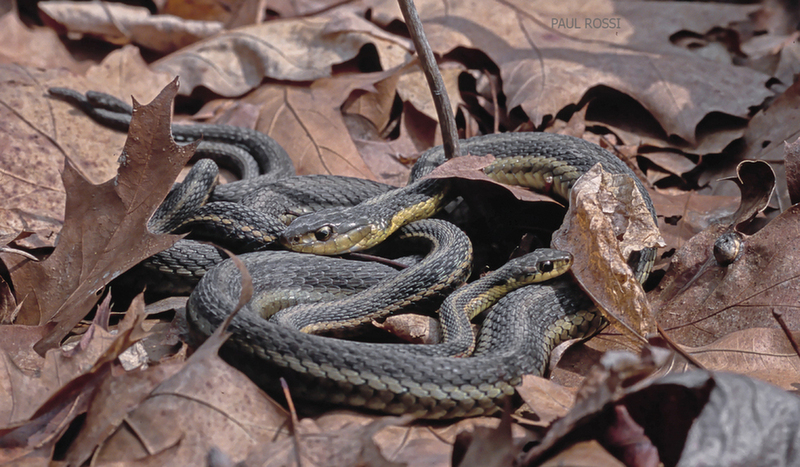 Garter snakes are so quick, I haven't been able to get a decent image of them. Very cool to get them all in focus and entangled. I wonder if this is a family. So well composed and presented!